Checking in on the Work in Progress project. I’ll admit, I haven’t be able to work on this as much as I would have liked, but paid professional projects that were on a deadline had to be finished first. I am on the 4th section of 5, so the blanket is 3/5 done. Over halfway! Yay! How are you doing with your WIPs? I’d love to hear an update! 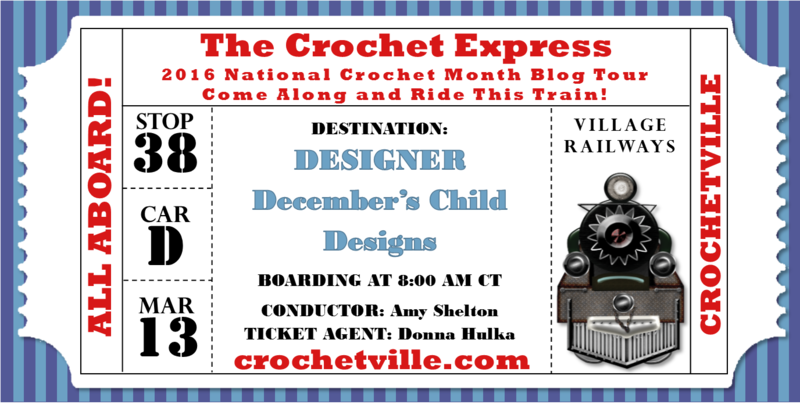 I also want to remind you that I will be part of the Crochetville NatCroMo blog tour this year. It will be my second time on the tour. Please go to the Crochetville website daily starting on March 1st and follow along with all the amazing stops on the tour. When the tour stops here on March 13, 2016, I have some fun things happening – a new pattern release, plus some giveaways. You’ll have to come back to check it all out!